The pseudoscience of phrenology became highly popular in the western world between 1810 and 1840, when modern concepts of medicine were only just beginning. It was believed that the brain had many areas with specific functions, and that a “problem” with one area – signified by a lump or indentation in the skull – would affect an individual’s personality or mental capabilities. 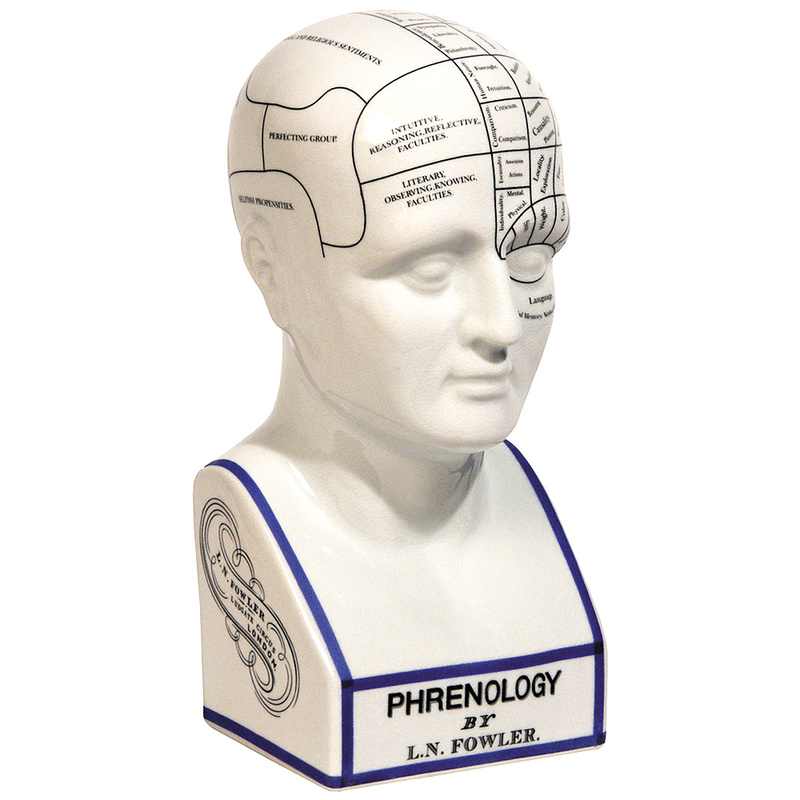 Here we see a phrenology model as it would have appeared in the late 1800s. It replicates the busts that may have been seen in a doctor’s office, and is made from ceramic with a purposely crackled, aged appearance. Whether you’re a craniologist or just like peculiar pieces, you’ll find this model makes an excellent conversational piece! Made from ceramic, with a purposely aged appearence. Modelled on late 1800s phrenology models. Rubber stoppers on base to protect your furniture. Dimensions: 28 x 13 x 12cm.